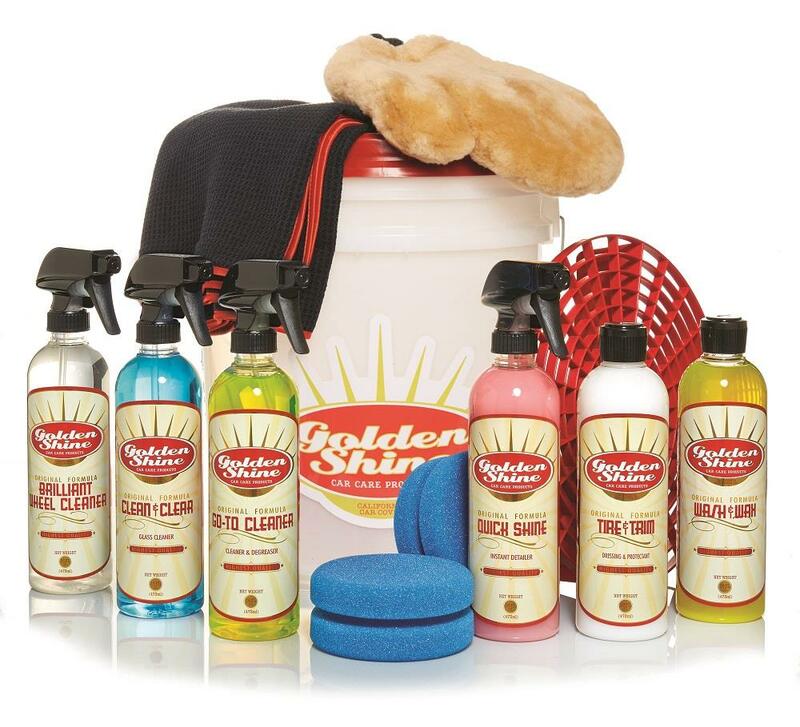 We know that caring for your vehicle is a top priority for folks like you, and we've made it simple by pulling together this luster-producing collection from our high quality line of Golden Shine Car Care products. Equipped with a padded handle grip and an airtight Gamma Seal lid that turns the Golden Shine Wash Bucket into a stool for access to low areas of your vehicle, this bucket also features the Grit Guard system to trap dirt at the bottom so it won't scratch the paint. Get after the dirt on every surface and bring out the shine with one 16oz. bottle each of the Golden Shine paint-preserving Wash & Wax, degreasing Go-To, safe and effective Brilliant Wheel Cleaner, protective Tire & Trim Dressing, instantly detailing Quick Shine, and streak-free Clean & Clear Glass Cleaner. You'll have everything you need to get the job done because this kit also includes a soft and absorbent Waffleweave Towel, a soft and sudsing Genuine Sheepskin Wash Mitt, and foam Tire & Trim Dressing Applicators. Bundled for savings over 15%!